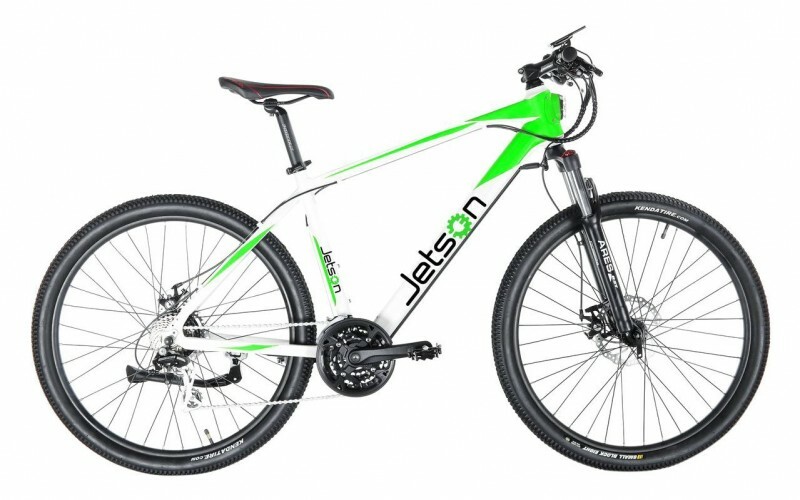 At first glance, the Jetson Adventure looks like an attractive 21-Speed manual bicycle — in fact, for those unfamiliar with the Jetson brand, most observers may not even realize that you are riding an electric bike (eBike) at all. 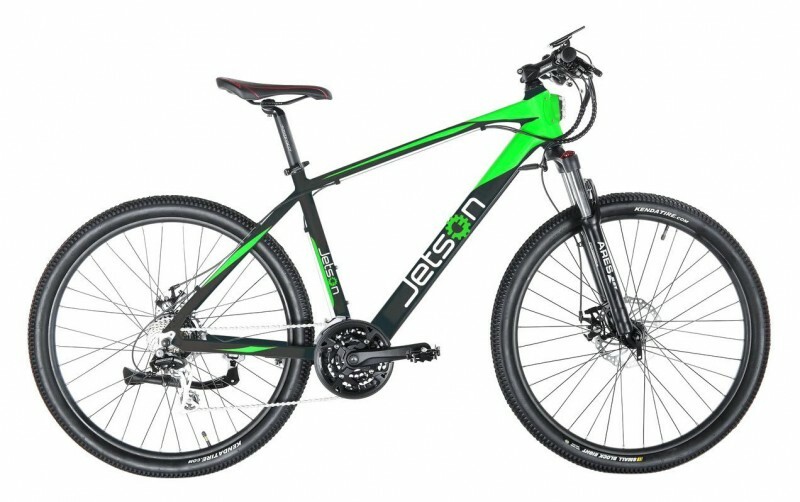 Jetson’s technology is integrated into the frame of the bike in a way that hides (or at least diverts attention away from) its electric components. The brand name Jetson is displayed in large, contrasting letters on the sides of the Adventure, and the name promises something more than your typical road bike — something futuristic, if you will, just like the classic television show. The frame is made from a durable aluminum and comes in one size — 32”. 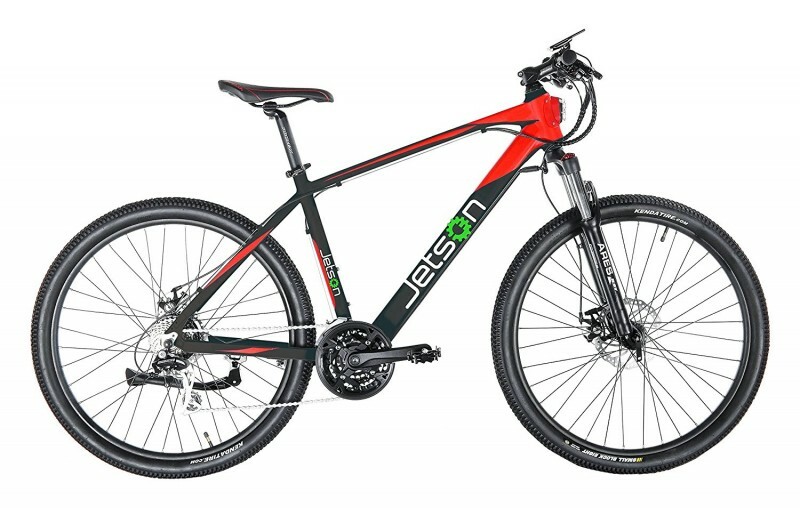 With a wheel size of 26 inches, the overall bike is smaller than your traditional road bike but has the power to take you further on the road or trails. Featuring a 36-volt 7.8h Lithium-Ion battery, the Adventure has a maximum range of 50 miles per charge. However, this Li-Ion battery doesn’t power the Adventure’s 250-watt integrated hub motor by itself — the battery features a USB port and takes only 4 to 6 hours to charge fully. Best yet, when you purchase the Jetson Adventure, the charger is included. The Adventure features 21-Speed Shimano gears as well as built-in sensors that detect how much effort you are putting into pedaling the bike. Therefore, based on your pedaling effort, the battery can send nine different levels of power to the motor. The combination of human pedaling and the assistance of the integrated battery is limited to a maximum speed of 20 miles per hour. The front of the bike features some great tech many riders will be thrilled with. There is an LED front light that is powered by the same battery as the motor — and it is integrated into the frame. 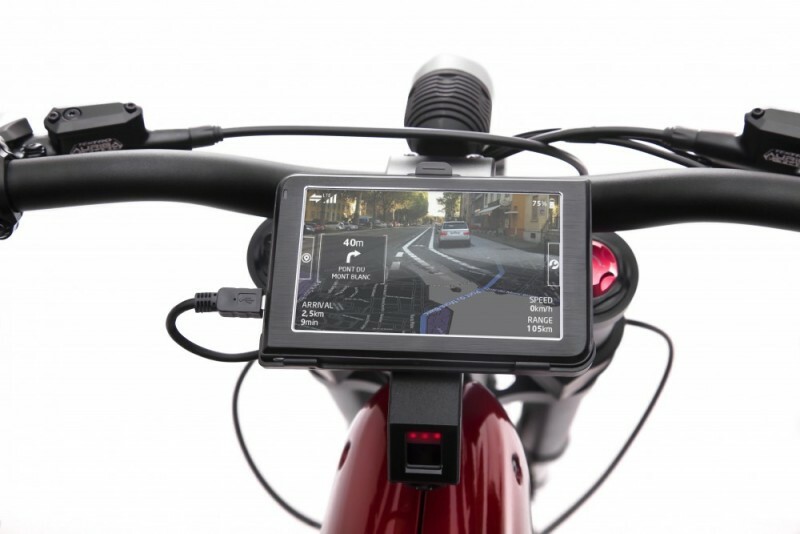 Also integrated into the frame is an LCD display that shows the cyclist their speed, power assist level, and distance. Easy to use, you can tap on the up and down arrows on the LCD display to set the assist level and to select a walking assist mode of 4.5 miles per hour. The rider’s experience on the Adventure is pretty comfortable thanks to the front shock suspension. This eBike is a hard tail (there are no shocks in the rear of the bike), but a shock-absorbing seat post was designed in order to protect your bottom from being jarred too badly. As for the brakes, the Adventure features both front and rear disc brakes. For an eBike, the weight of the Jetson Adventure is not too bad. At 42 pounds, this unit is relatively light for an electric bike, which is helpful when carrying it around, as well as riding it. 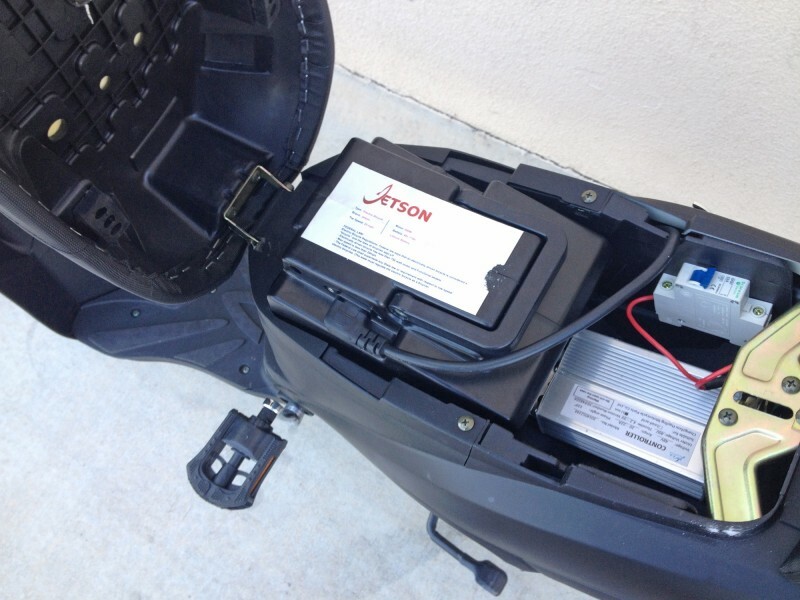 The hiding of the battery inside of the Adventure’s frame does more than camouflage Jetson’s technology — since the battery is out of sight, it helps to prevent theft of the eBike (since they may not even recognize that it is an electronic bike) components. Unless they decide to take the whole bike (which we advice you purchase a good security system). The motor that is present on the rear hub isn’t too obvious either, which is a plus. In each color combination, it is the second color that is primary/predominant and the first is the accent color. 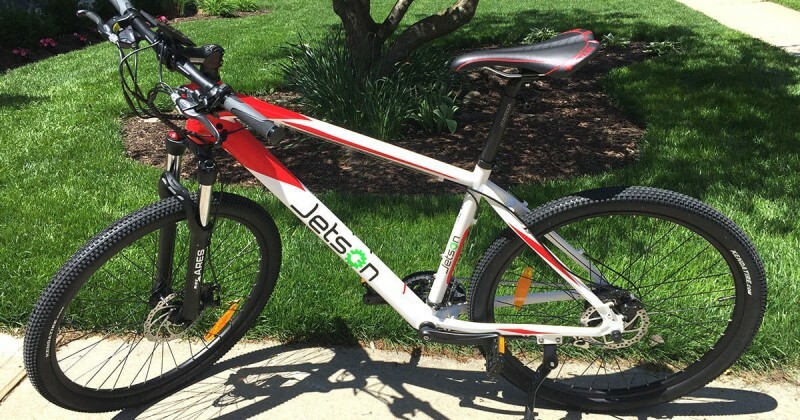 The price of the Jetson Adventure is also surprising — the listing price for this bike is $1,800, but you can purchase it for less at retailers such as: Amazon, Kohl’s, Walmart, etc…for as low as $1,500. Color of the bike may also influence the price. 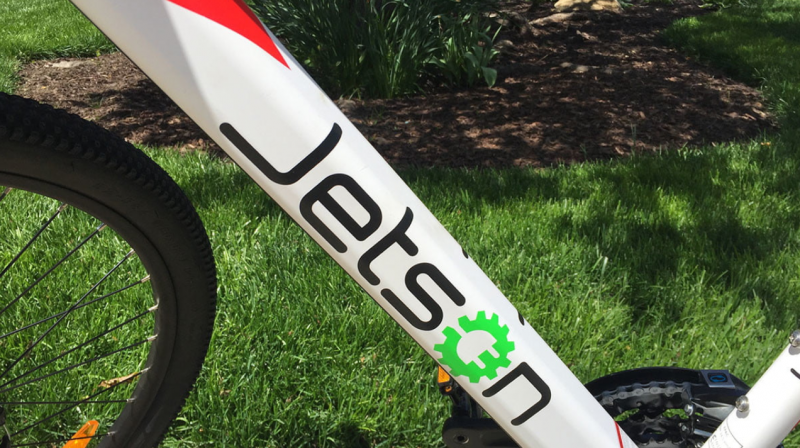 You can also purchase the Jetson Adventure eBike through an online store on the company’s website, which launched the summer of 2017.